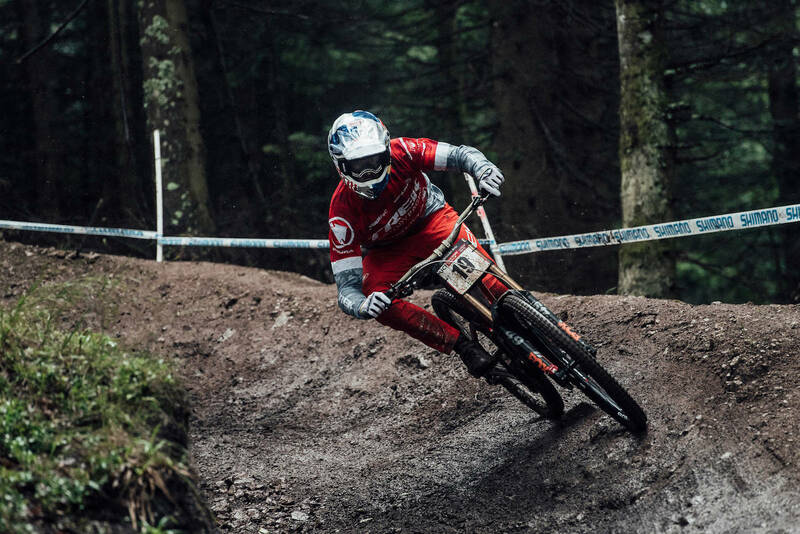 The UCI DH World Cup 2018 season ends today with the seventh and final stage in La Bresse, France, where a heavy rain drenched the ground making the track, which is already technical, really quite challenging. 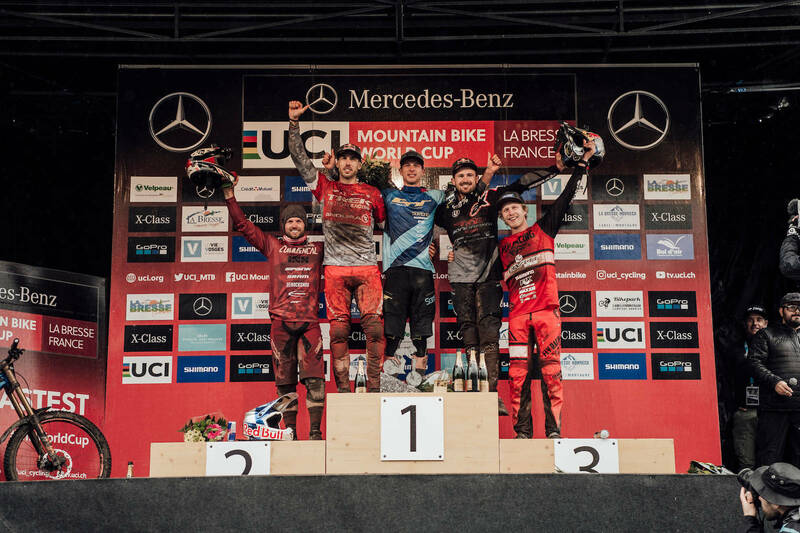 Amaury Pierron was able to celebrate his victory in the overall already, after winning Mont-Sainte-Anne. But the real celebration went to Martin Maes who, a week after his first victory in Whistler’s EWS, also won his first World Cup race in the Elites, marking a time that was impossible to beat for all the athletes who came down after him, especially in the middle part of the track where the Belgian was absolutely flying. 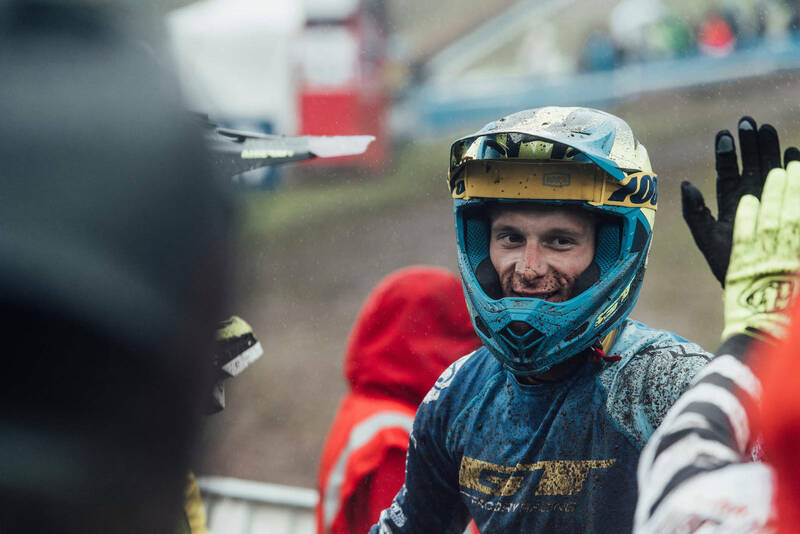 Second place for Gee Atherton, who took first place in qualifying yesterday, confirming his status and showing he was one of few who was threatening to former team mate Maes. 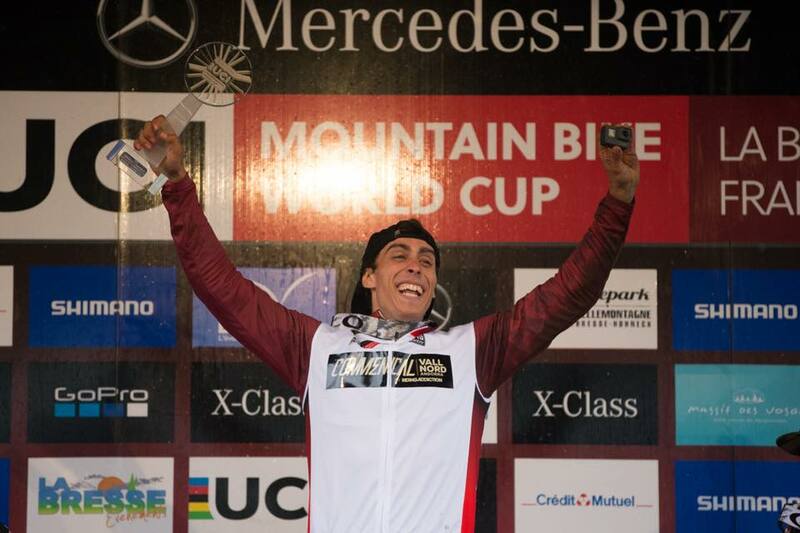 Surely the British Cycling are kicking themselves for not selecting him for the World’s team. Third place went to Brook MacDonald who had the highest speed on the track, La Bresse but failed to close the gap with Maes, 3 seconds ahead. Fourth place for Remi Thirion while in fifth place Bernard Kerr is back up to pace. 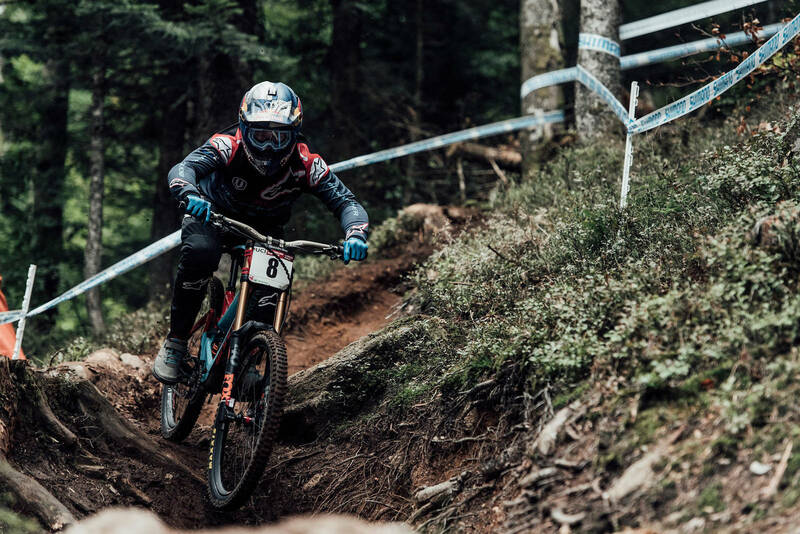 Loic Bruni had an excellent run, but could not do better than the sixth place while Pierron, who was struggling for a serious chance of winning, made a mistake on the final section that relegated him to 10th place. The same destiny was shared by many top riders like Minnaar, Shaw, Gwin and several others who gave up high positions in the standings due to falls and slip ups. 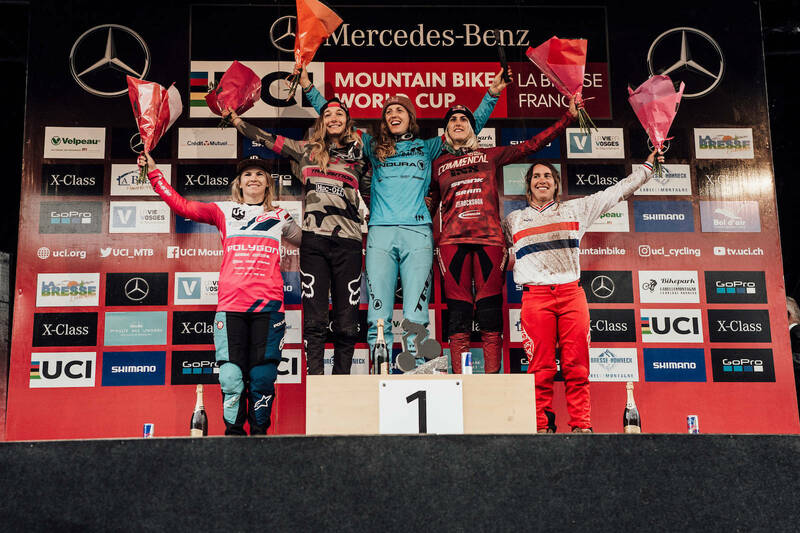 It was an incredible and exciting race in the women’s field, where Rachel Atherton and Tahnée Seagrave with today’s victory were also racing for the overall. 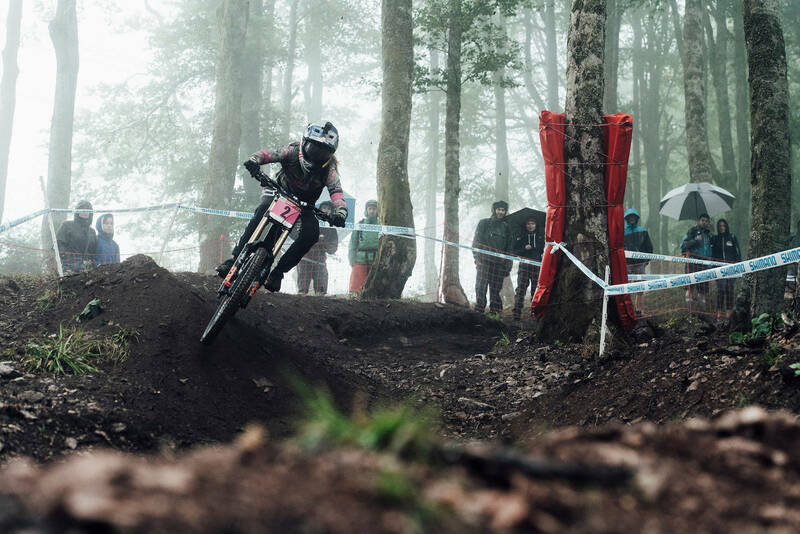 It would have been enough for Rachel to finish fourth to win the title, but she did not hold back and put down an amazing run horrendous track in La Bresse, facing the most technical sections with an unmatched consistency and rhythm. 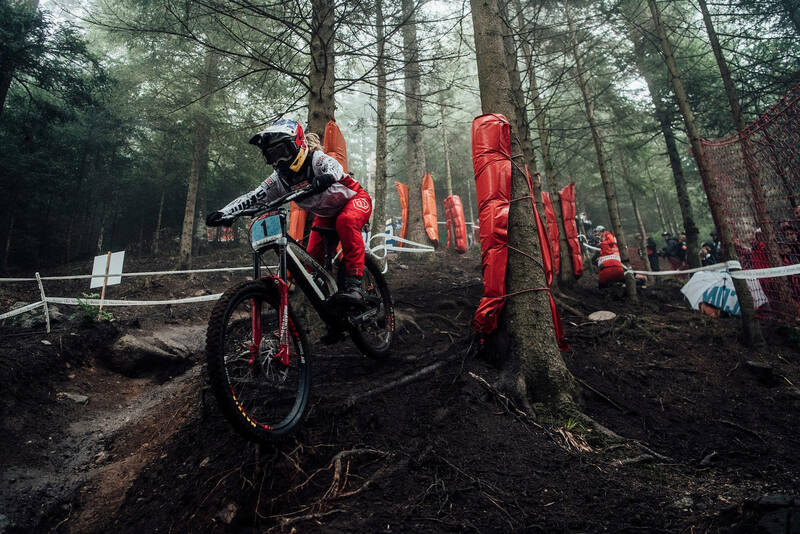 Tahnée gave her best effort to get to the first step of the podium and despite some errors she did manage to give Atherton a run for her money, finishing just 6 tenths back. Myriam Nicole, despite an excellent performance, ended in third place, with a gap of 11 seconds from the two British stars. Behind her was Tracey Hannah, followed by Katy Curd. 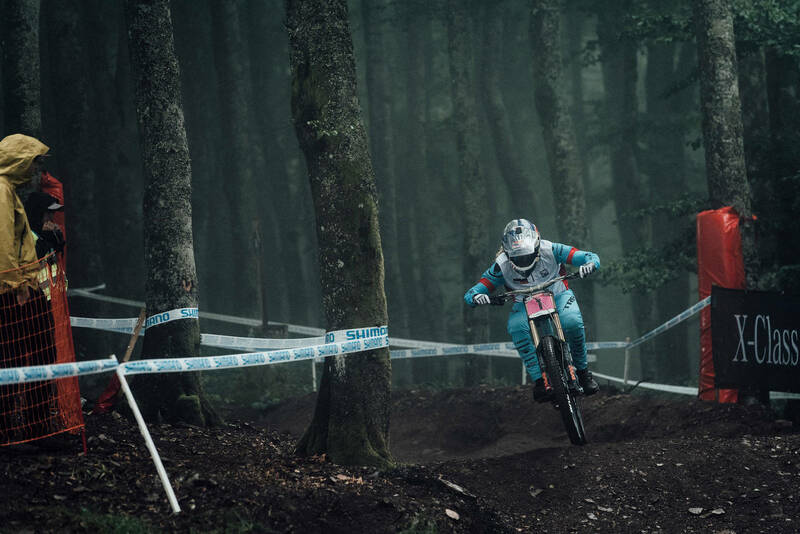 Bad weather didn’t spare even the youth categories that raced during the morning, between rain and mud. In the Junior Men Thibaut Daprela clocked in the fastest time, celebrating both the victory on the day, and the for the overall, in which he dominated for almost the whole season with five wins and two second places. 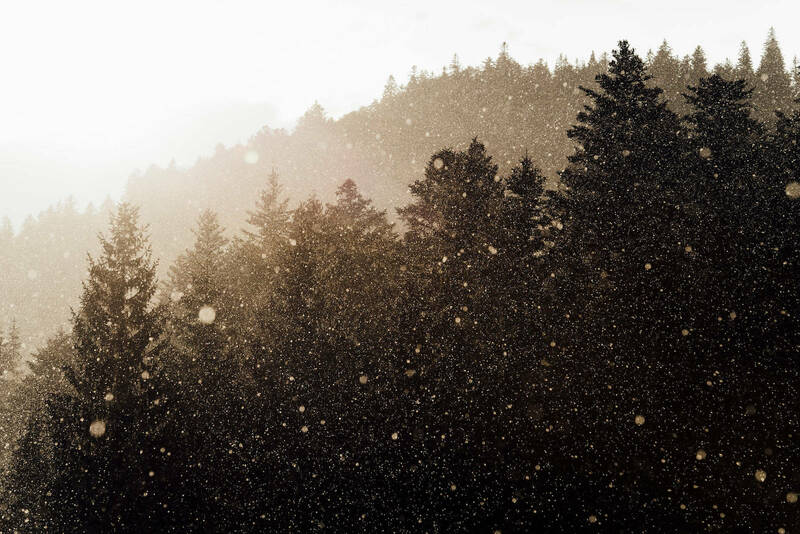 Henry Kerr followed him by 7 tenths of a second, and with this place he also climbed in the overall, closing out World Cup 2018 in second place. Kade Edwards concluded with less than 3 tenths from Kerr and retains his third place overall. Kye A’Hern, one of the favorites during the season for the victory of the circuit, has slipped from second to fourth because his tough race run today, which saw him finish in 18th position. Valentina Höll finished with a perfect season, in which she dominated every race with huge gaps on her challengers. Even here in La Bresse her victory was overwhelming and the talented young athletes like Paula Zibasa and Mille Johnset could not do much against someone of her caliber.